On Thursday June 1, from 8 a.m. to 1:30 p.m, EPIcenter will host IoT: A Connected World – a Summit that will bring together industry executives, utility experts, “Smart City” leaders, business and technology experts and communications gurus for a crash course in the Internet of Things (IoT). The Summit will be held at The Pearl Stable and Tickets are $30 per person. The "Internet of things" (IoT) is not just the domain of “techies” any more. It is becoming a frequent topic of conversation since it not only has the potential to impact how we work but also how we live. But what exactly is the "Internet of things" and what impact is it having on our everyday lives? How do we leverage it for the benefit of our businesses? From networked devices to smart cities, IoT is making connectivity to the Internet and machine learning ubiquitous. Keynote speakers for the Summit include: Rep. Will Hurd, US House of Representatives, District 23; Dan Rhodes, Chief IoT Fanatic, Deloitte; Jay Sexton, Chief Operating Officer, Center for the Development and Application of Internet of Things Technologies, Georgia Tech. Topics will include: How IoT works. What every business should be thinking about. What Congress is thinking about IoT? What are the benefits and challenges? What it means for San Antonio and what it means for businesses. Several innovative IoT technologies will be showcased. For more information on attending the Summit and to reserve your seat register via Eventbrite at “IoT A Connected World” in San Antonio. For more information, call 210-904-2711 or email, info@epicenterus.org. “EPI” stands for “Energy, Partnerships, and Innovation.” Located just south of downtown, EPIcenter will transform an historic, century-old power plant on the Mission Reach of the San Antonio Riverwalk into a dynamic, world-class center for new energy innovation, entrepreneurial incubation and ideation. 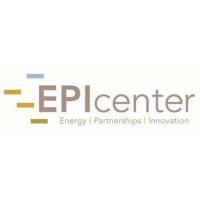 EPIcenter will be a nucleus of activity and a catalyst for future development place where leaders from around the world will come to research, generate and promote new ideas surrounding new energy, and to engage citizens of all ages in discussions about energy transformation. The project is currently in the design and fundraising phase.